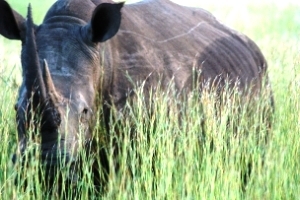 333 Rhinos were killed in South Africa in 2010. Nearly 300 have been slaughtered so far this year. If, as this report at Afrika Expeditionary Force states, 93,4% of Africa’s rhinos are found in South Africa, we have an enormous responsibility to ensure that these magnificent creatures are not hunted to near-extinction. One of the easiest ways to show support – by raising awareness and contributing financially – is to ‘join’ the Rhino Force. Pop into your local Exclusive Books store and buy a Rhino Force Supporter’s Band for just R30. 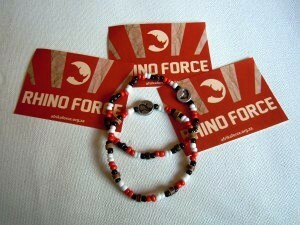 Black and red beads represent the black and white rhinos; red beads their plight.